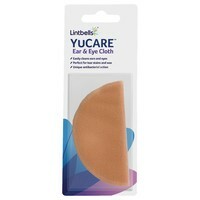 Lintbells YuCARE Ear & Eye Cloth is a cloth that has been specially designed to help the cleaning process of your pet's ears and eyes. The microfibre cloth has been impregnated with silver ions to aid the removal of any debris and to kill any bacteria present to ensure the eye/ear is totally clean. Use in conjunction with the Lintbells Silver Water Ear Cleaning Drops and Silver Water Eye Cleaning Spray for the ultimate clean.